Pizza On Pearl, which has been serving La Jolla Village for nearly a decade, will rebrand this week into the 4th location of the rapidly expanding Mr. Moto Pizza House. 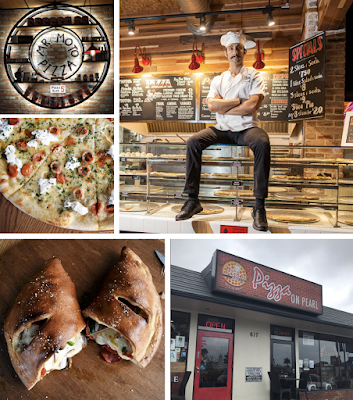 With recipe consultation from longtime San Diego chef, Jack Monaco, Pizza On Pearl was opened in fall 2009 by David Mittleman, who also operates Bongiorno’s New York Pizzeria in Solana Beach. Mittleman later sold the restaurant to Aram Baloyan, who also has ownership interests in The Taco Stand chain and La Jolla's Himitsu sushi restaurant. Baloyan's nephew is Gibran "Mr. Moto" Fernandez, who he helped with the development and opening of Mr. Moto Pizza House in San Diego's Pacific Beach in 2015. The concept has since expanded with locations in North Park, Point Loma, and another opening in the new OB Plaza in Ocean Beach as early as year's end. Being that Pizza On Pearl was essentially the blueprint for Mr. Moto Pizza House, little will change at the restaurant aside from the name and a few alterations to the menu. The name change is occuring mainly to unify the brands. The eatery will continue to serve a variety of signature NYC-style pizzas, as well as pastas, sandwiches, salads, calzones and stromboli, all easily accessible for delivery or pick-up through a nifty online ordering system. Mr. Moto Pizza House La Jolla is located at 617 Pearl Street. 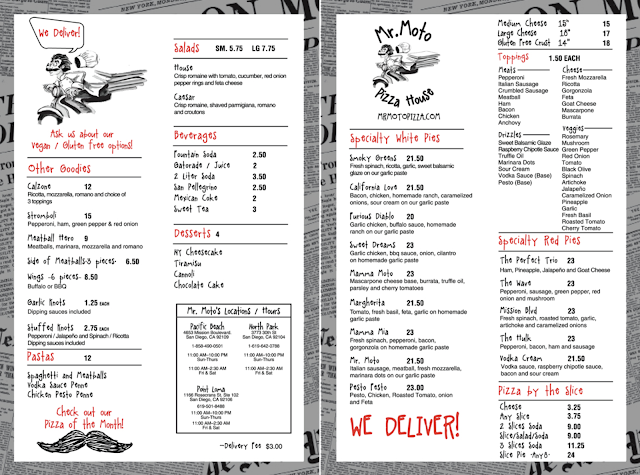 For more information, visit mrmotopizza.com and check out the menu below.